Other satellites have conducted sky surveys and found many celestial sources of X-rays. However, the sources are often variable, and occasional intense flares can be missed in just one or two surveys, according to Zhang. "There are so many black holes and neutron stars in the universe, but we don't have a thorough understanding of any of them. So we need new satellites to observe more," Zhang said. Black holes remain a mystery. One of their many secrets is why they get "angry." "Black holes will be the focus of our observation since they are very interesting, and can generate various types of radiation, including X-rays and high energy cosmic rays, as well as strong jets," said Zhang. So far about 20 black holes have been found in our galaxy. "We hope our telescope can discover more black holes. We also hope to better observe the black holes already discovered." If a black hole does nothing, it cannot be found. But if matter falls into a black hole, it is accelerated and heated during the process, emitting X-rays. Scientists might learn more about the characteristics of black holes from the X-rays. Some times a black hole is calm, but other times it's very "bad tempered." When a black hole gets "angry," it generates very strong X-rays or gamma ray bursts or jet-flows, Zhang explained. Other countries have sent several X-ray satellites into orbit, but most are suitable for observing only relatively calm black holes. However, HXMT is suitable for observing angry black holes and neutron stars. "We are still not clear why some black holes suddenly get angry, since we haven't observed them for long enough," he said. "We plan to make a thorough survey of black holes and neutron stars in the galaxy." A neutron star, or a pulsar, is so strange that when the first one was discovered, it was mistaken for signals from aliens. There are still many mysteries about this kind of star. "We are still not clear about the interiors of pulsars. Current physical laws cannot describe the substances in the state of a pulsar well, since no lab on Earth can create a density as high as a pulsar. So we have to conduct more observations of pulsars," Zhang said. With their super strong gravitational and electromagnetic fields and high density, pulsars are regarded as natural laboratories of extreme physical conditions. Scientists could study many phenomena that they cannot replicate on Earth by observing neutron stars. Since the detection of gravitational waves, scientists have been eager to find electromagnetic signals corresponding to the gravitational waves. This will be an important task for Insight. Xiong said the position accuracy of all the gravitational wave events detected so far is still very poor. If scientists can find electromagnetic signals happening at similar positions and times of gravitational wave events, it would increase the reliability of the detection. Combined analysis of gravitational wave and electromagnetic signals will help reveal more about the celestial bodies emitting gravitational waves, said Xiong. Some scientists suspect that mysterious gamma-ray bursts could be electromagnetic signals corresponding to gravitational waves. "Since gravitational waves were detected, the study of gamma-ray bursts has become more important. In astrophysics, it's insufficient to study just the gravitational wave signals. We need to use the corresponding electromagnetic signals, which are more familiar to astronomers, to facilitate the research on gravitational waves," Zhang said. HXMT's effective detection area for monitoring gamma-ray bursts is 10 times that of the US Fermi space telescope. Scientists estimate that HXMT could detect almost 200 gamma-ray burst events a year. "HXMT can play a vital role in searching for electromagnetic signals corresponding to gravitational waves," said Zhang. "If HXMT can detect electromagnetic signals corresponding to gravitational waves, it would be its most wonderful scientific finding." "Our telescope may discover new phenomena, or even new celestial bodies. We are looking forward to new findings that nobody can predict. I hope my predictions are wrong since the most interesting astronomical discoveries are all out of expectations." CAS academician Gu Yidong said China still lags behind advanced levels in space science. "We should have a sense of urgency. It will take efforts to upgrade China's space science to advanced levels within two decades." Arvind Parmar, head of the Scientific Support Office in the Science Directorate of European Space Agency (ESA), said HXMT will study X-rays from objects such as black holes, neutron stars and the remains of exploded stars. These are exciting topics for scientists all over the world. HMXT will join X-ray satellites already in operation. Each mission has its own strengths. "I am really impressed with how China is developing its scientific space program. 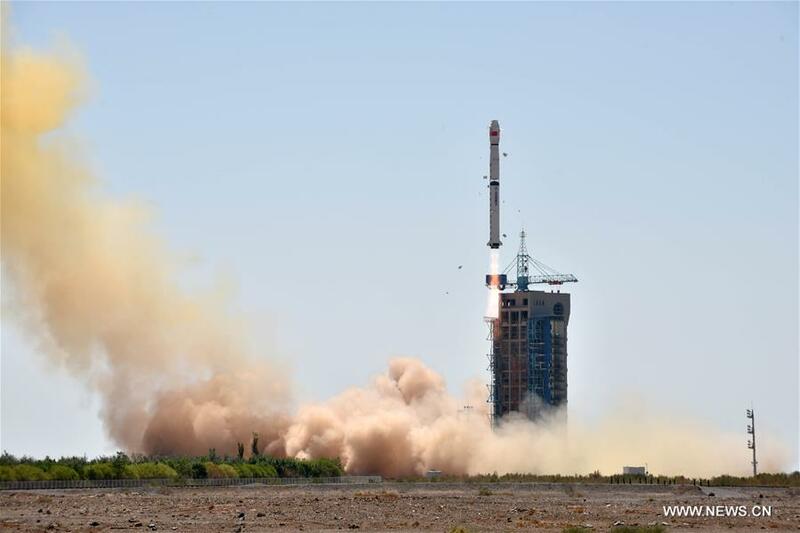 The recent launches of the Dark Matter Particle Explorer and the Quantum Experiments at Space Scale missions highlight China's capabilities and commitment to science as does the range of missions under study for future launch opportunities," said Parmar.